River Region Family: Free T-Shirt at Fine Line Engravers Today for Facebook Fans! Free T-Shirt at Fine Line Engravers Today for Facebook Fans! "Like" Fine Line Engravers and Gifts on Facebook. Go visit them today during their Grand Re-Opening and tell them you heard about it on Facebook for a free Dang Chicks T-shirt! It's a cute shirt, too. While you are there, meet the Dang Chicks designer. Sign up for today's give-aways in store and do some Mother's Day shopping. Today everyone gets to draw for a discount on your purchase. They lots of really great items in store. 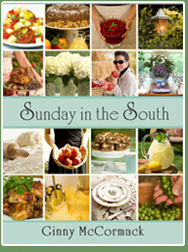 Plus, Ginny McCormack will be there from 11am to 2 pm signing her cookbook "Sunday in the South". It's a great day to check out a local store! Fine Line Engravers is located in the old Bruno's shopping center on Perry Hill Rd in Montgomery.